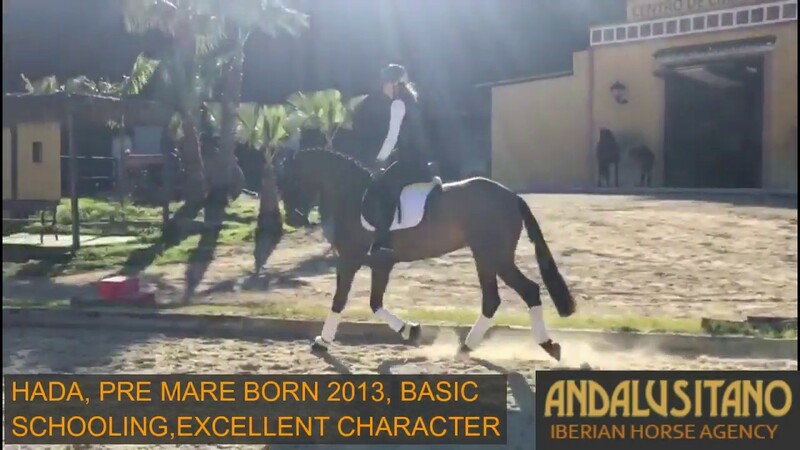 PRE Mare with excellent character and professionally started by female rider. Even though this PRE mare is young, it is incredible to see how regular and balanced she is with her rider. I believe that Hada would be able to reach a medium to advanced level in dressage due to her nice straight stride, and open shoulder. Her basic character is that of a very level headed horse who is not phased by much. She loves her cuddles, easy to groom and tie up.